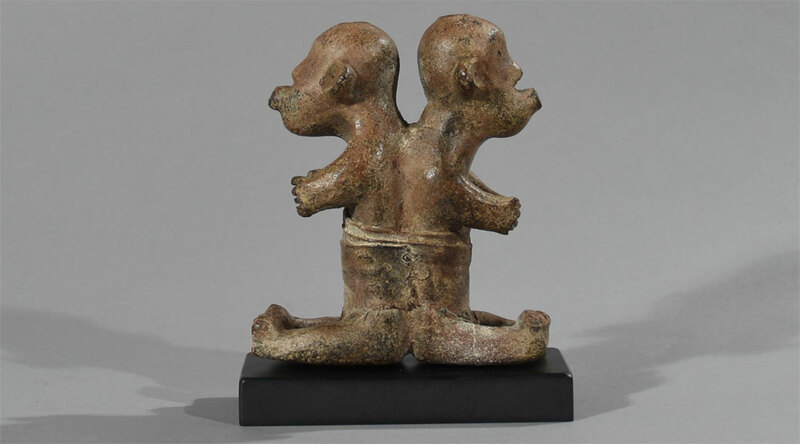 These two Clay Twins are from the Sukuma tribe a Bantu ethnic group inhabiting the southeastern African Great Lakes region in Tanzania. 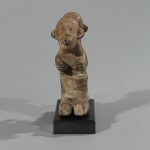 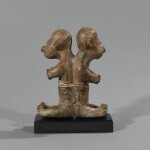 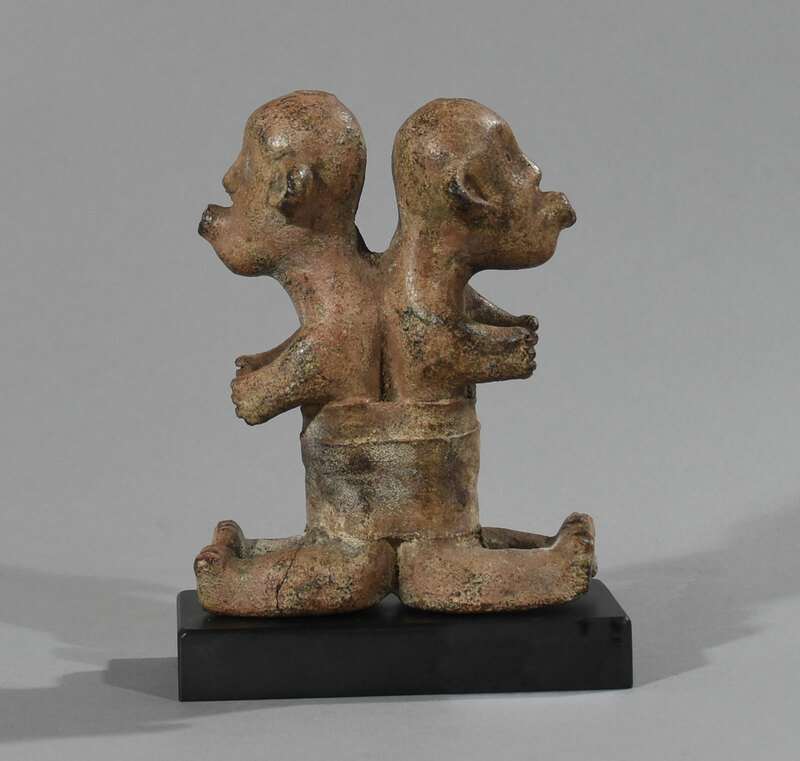 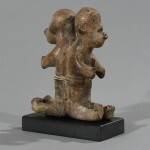 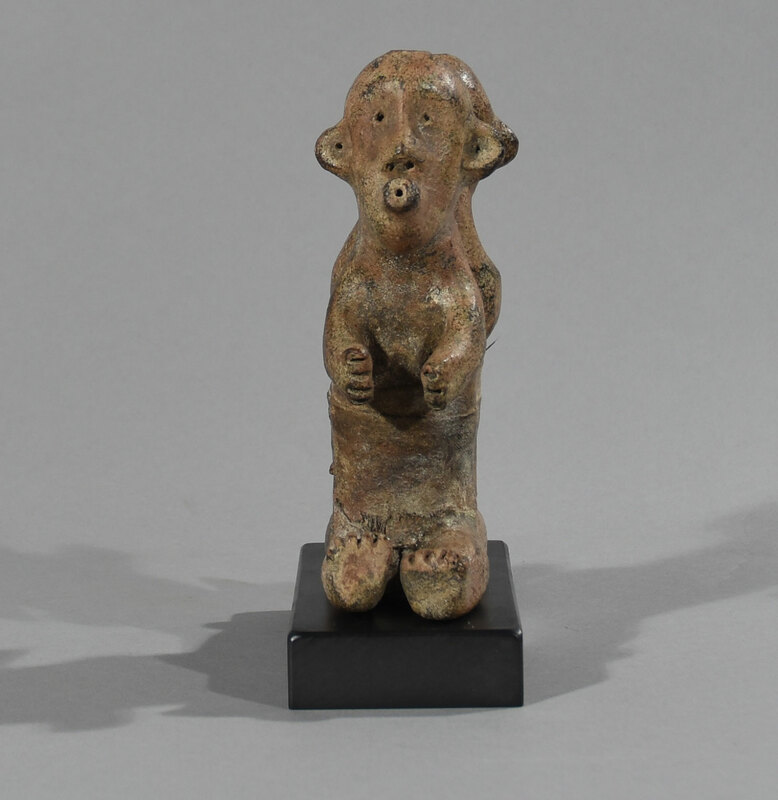 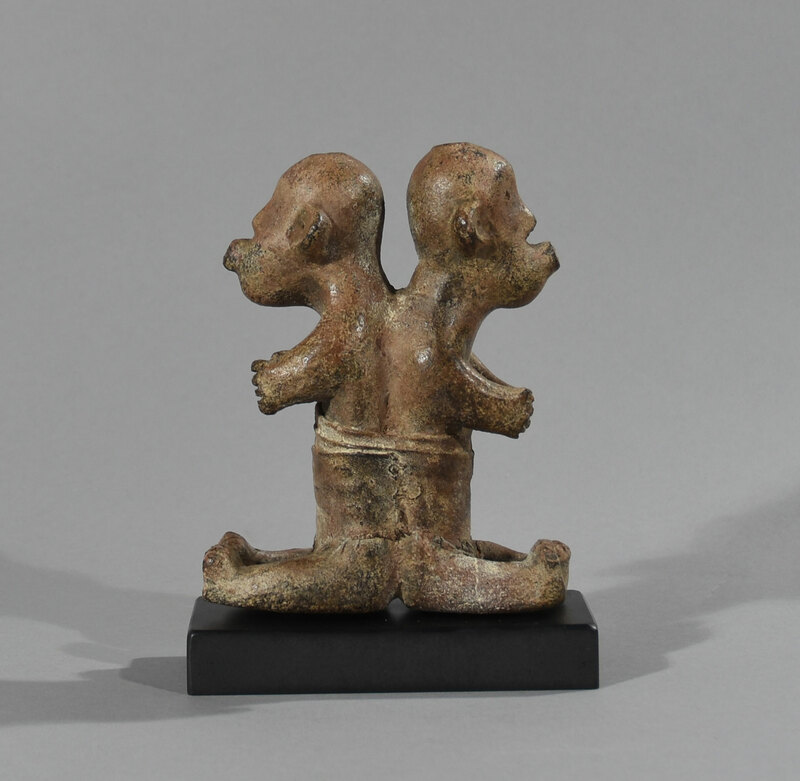 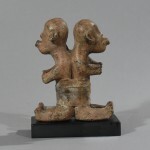 The children are formed in hard-burned clay, they have a sweet innocent look with pouting mouths, and tied together around the waist by a cloth formed from the clay. The clay figure has a fine hard, smooth surface without cracks or other damage. 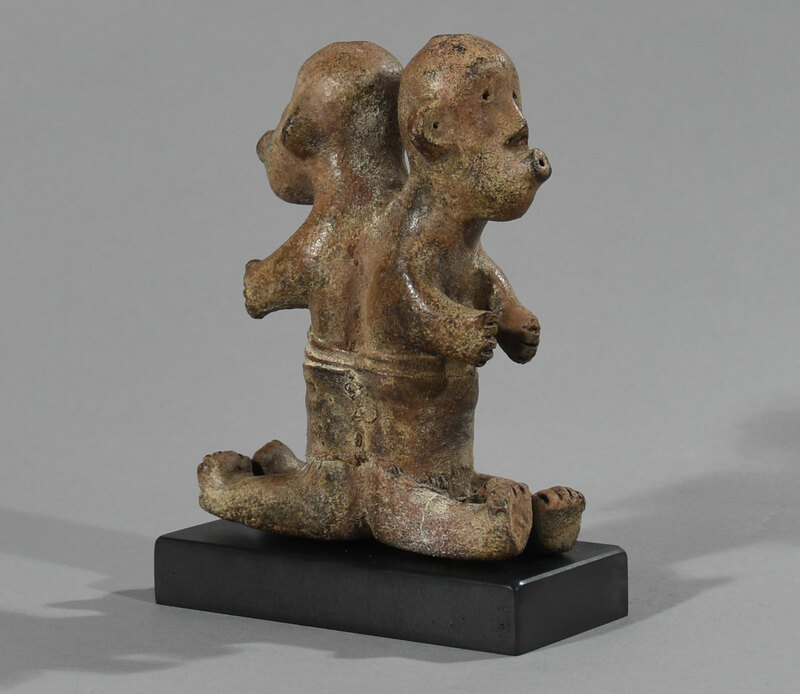 Dimension: H: 16 cm, W: 5 cm, L: 12 cm, – Weight 650 g.
Provenance: The figure found in situ in city Mwanza at the south coast of Lake Victoria in northern Tanzania in the 1950th and brought to Germany by a German collector and sold to a gallery in Brussels.